On an African safari, if you have a knowledgeable game ranger, you are likely to learn all sorts of new and interesting information about the animals you see. One of our favourite bits of information to share are the collective nouns used for some of the species. A collective noun is the name given to a group of animals. 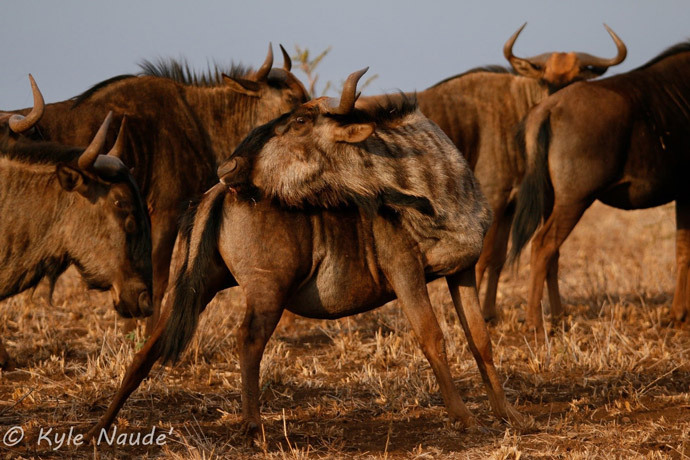 While many are common and well-known (like herd, flock, or pride), there are many lesser known but fantastically descriptive terms used to describe African animals. 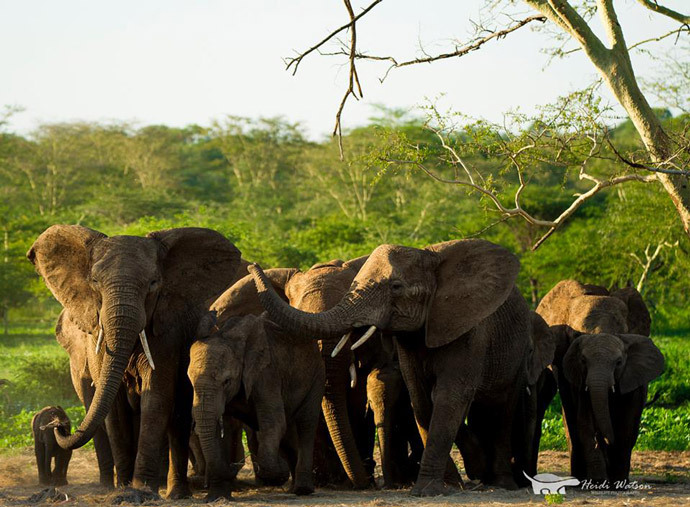 A group of elephants is called a ‘memory’ of elephants. This is in reference to their strong family ties, intelligence, and reputedly long memories. Sometimes the most interesting animals on safari aren’t the large predators, but the more common species that manage to capture our imaginations. Zebra are one of the most strikingly beautiful animals in the African bush and it’s not difficult to see why a group of zebra is called a ‘dazzle’ of zebra. Giraffe are another iconic African species and always a firm favourite with our guests. 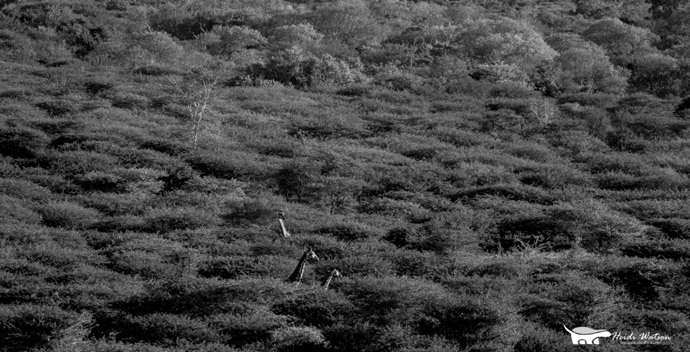 A group of giraffe is called a ‘tower’ of giraffe, as their heads can often be seen sticking high above the trees on the horizon. A personal favourite here at Rhino River Lodge, the term for a group of rhinos is a ‘crash’. It is particularly apt for black rhinos as at they generally come crashing through the bush towards you and then crashing right back away again as soon as they investigate what you are. 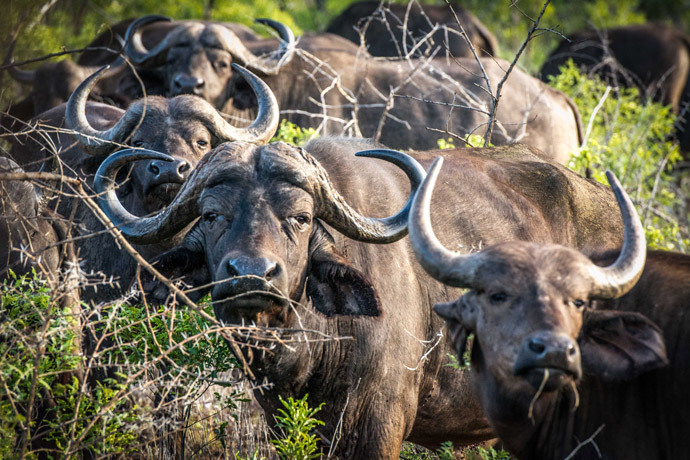 A group of buffalo is aptly referred to as an ‘obstinacy’ of buffalo. Considering their bulky bodies, stubbornness and tendency to stay in large, protective herds, this is a prime example of a collective noun that takes its inspiration directly from the characteristics of the animal being described. Spending their days lazing in the water, and nights grazing on the river banks, a group of hippos is fittingly called a ‘bloat’. 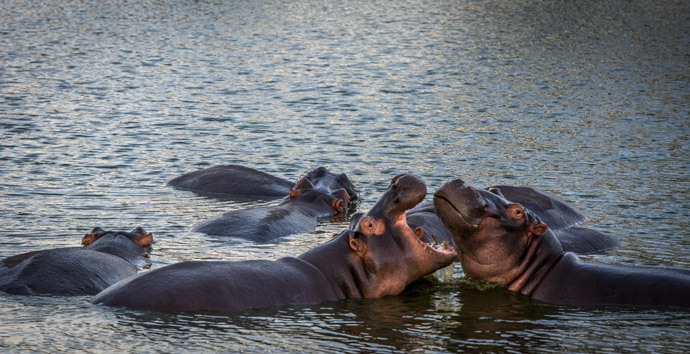 While this may sound a little funny, coming across a bloat of hippos out of the water is no joke as hippos are widely considered to be the most dangerous animal in Africa. Memories, dazzles, towers, crashes, confusions, obstinacies and bloats! We’ve got them all at Rhino River Lodge. Start planning your safari to see them for yourself.